After the battle with Calaveras, Sailor Moon, Tuxedo Mask, Sailor Venus, Luna and Artemis try to get Chibi Usa to tell them more about the enemy. 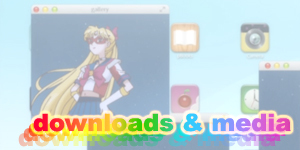 Sailor Venus suggests that if she takes them to the 30th Century, they may be able to help her. Chibi Usa begins to cry and tells Sailor Moon that she wants to stay at Tuxedo Mask’s apartment. Later that night as Mamoru is putting Chibi Usa to bed, he tells her that she is strong but must stop running if she wishes for things to change. 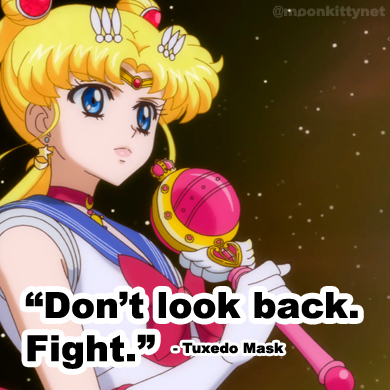 Usagi sees this and begins to feel insecure. Mamoru leaves Chibi Usa and hugs Usagi to make her feel better. 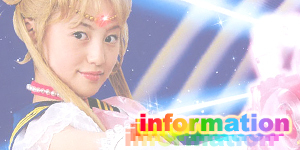 Usagi admits that she can feel needlessly insecure at times and the two kiss and go to bed. At Minako’s house, Luna is sleeping over and is dreaming about a time in the past when Queen Serenity found her in a part of the Moon Castle that was off limits. The queen finds her and is surprised to see a mysterious door. She mentions that it belongs to a mysterious Guardian and that Luna should forget that she ever saw it. 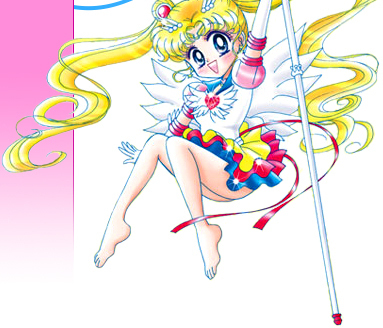 The next morning, Chibi Usa tells Usagi and Mamoru that she’ll take them to the future. 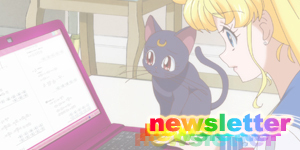 Later that day they meet up with Luna, Artemis and Sailor Venus and Chibi Usa uses her Time Key to open a portal. She instructs everyone to hold hands but they get separated from her during the time warp and land in a strange space in between time. At that same moment in the Black Moon’s base, Prince Demande and Safir detect the Sailor Guardians’ travel through time. Esmeraude sends two of her lackeys, Chiral and Achiral to stop them. In the time vortex, Sailor Moon and the others see the same door Luna saw in her dream/memory. A mysterious figure then appears, the Guardian of the Underworld (and also the Guardian of Time! 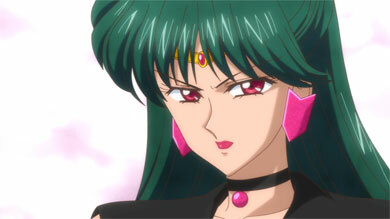 ), Sailor Pluto! Sailor Pluto tells them all that there’s no excuse for breaking the taboo of time travel and attacks them all with Dead Scream, a windy blast attack that leaves the entire group near defeat. Luckily Chibi Usa arrives and hugs Pluto. She tells them that Sailor Moon is her friend and that she has brought her and the others to the future to help. Pluto hugs Chibi Usa back and tells her that she was worried. She then instructs her to give her formal introduction, revealing that she is in fact, a princess! Sailor Pluto opens the door and allows everyone to continue on their journey to the future. Sailor Moon asks Pluto if she’ll join them but Sailor Pluto tells her that her place is guarding the door. When they all arrive in the 30th Century, they’re shocked to see the entire future Tokyo, Crystal Tokyo in ruins and dead bodies in the streets. Chibi Usa runs to the Crystal Palace but is stopped by the sudden appearance of a fake Crystal Palace that traps them all. Chiral and Achiral appear and encase the group in a crystal column. Esmeraude appears and taunts them. 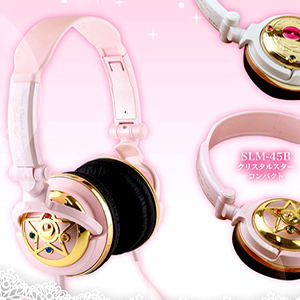 Sailor Moon tries to break free by using Moon Princess Halation but it has no effect. A mysterious male figure communicates with Tuxedo Mask and commands him to focus his energy at his feet and to command the crystal to break. He does so and the crystal shatters. Seeing an opportunity, Sailor Venus traps Chiral and Achiral with Venus Love Me Chain while Tuxedo Mask destroys them with Tuxedo La Smoking Bomber. Esmeraude teleports away. They all continue to the real palace. Tuxedo Mask wonders who the mysterious man was. When they arrive in the Crystal Palace, Chibi Usa leads them to a giant crystal display with a woman sleeping inside. 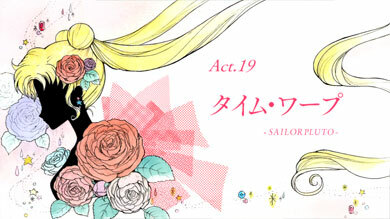 Chibi Usa tells them that this is her mother, Neo Queen Serenity. 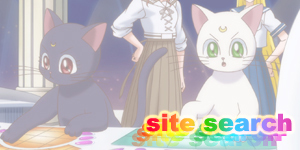 As Sailor Moon begins to place two-and-two together, a small grey cat appears and meows. Chibi Usa calls out her name, Diana and runs to her but the cat runs behind a curtain to a tall man. The same man that helped Tuxedo Mask, King Endymion! 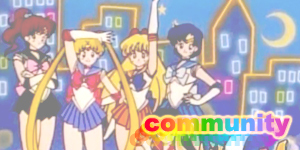 This episode featured the first proper appearance of Sailor Pluto as well as Diana, Neo Queen Serenity and King Endymion. We saw Sailor Pluto’s attack, Dead Scream for the first time in this episode. 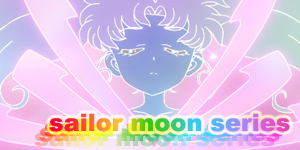 This episode featured several shots that appear to be heavily inspired by the classic DiC English dub of the 90s Sailor Moon anime which often used digital effects to frame certain shots to give them more energy. While it’s unknown who made the creative decision to include this sort of visual in Sailor Moon Crystal, we do know that Sailor Moon creator, Naoko Takeuchi has at least seen a few episodes of the North American version of Sailor Moon back in the 90s and that she found that version interesting. It’s also possible that Sailor Moon’s Japanese voice actress, Kotono Mitsuishi could have seen clips from that version during her travels to Western anime and comic conventions and any of the staff could have stumbled upon full episodes or clips on YouTube. Other changes made to the 90s English anime by DiC that may have possibly (i.e. 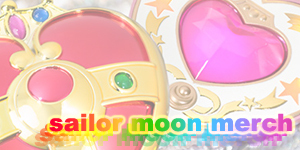 unconfirmed) influenced the Japanese production of Sailor Moon Crystal are digital effects being added to Queen Beryl’s orb, the flashback to the Moon appearing at the beginning of the first episode and the background music sounding closer to the 90s English music than the original 90s Japanese. This wouldn’t be the first time and English adaption of an anime series has inspired a change in the original Japanese version. Japanese Pokemon merchandise has adopted the English Pokemon logo in Japan and some Japanese Naruto merchandise features the English phrase, “Believe it!” from the English version of the Naruto anime.